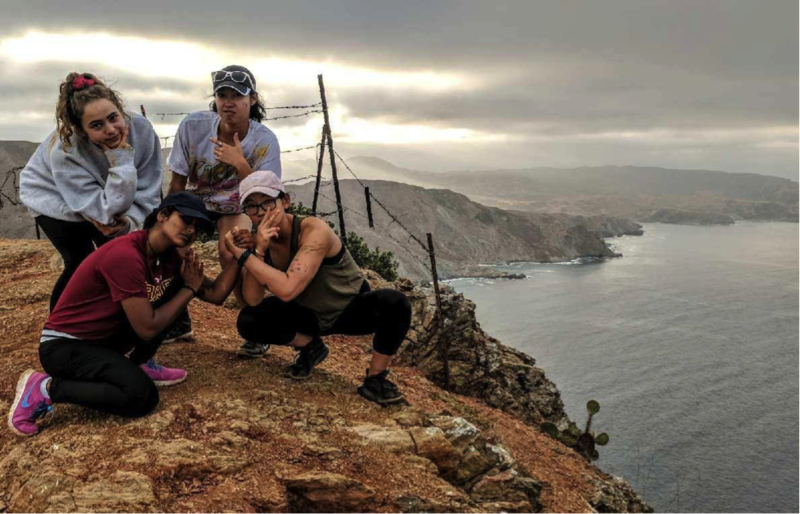 One of the most ubiquitous sentiments that students share regarding the college experience is that the friends they meet and the organizations they join make the pain of midterms, group projects, and 15-page research papers—worth it. This has been true for my experience as well, but a majority of the joy I’ve received from studying at USC can be attributed to working with the USC Wrigley Institute for Environmental Studies. I first began working with Wrigley last year, when I took part in a 2-unit directed research course regarding food waste. However, the focus of this blog post will be my current internship, the “Food for Thought” (FFT) program. FFT promotes environmental and sustainability education in underfunded and underrepresented South Los Angeles K-12 classrooms. 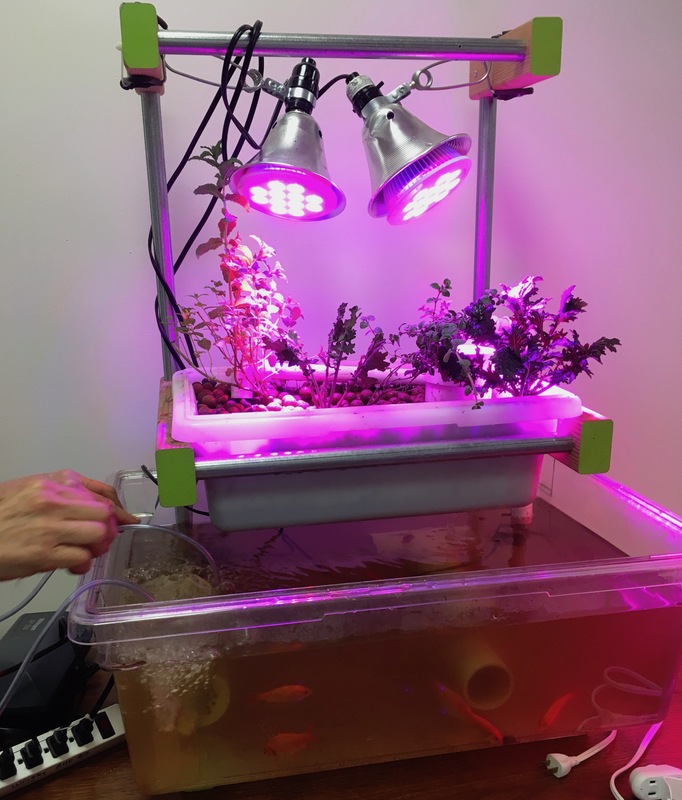 We bring aquaponics systems—a sustainable form of agricultural that utilizes naturally occurring nutrient cycling between fish, microbes, and plants to grow food—into classrooms to weave project-based environmental, food, and STEM learning into the Next Generation Science Standards and California Common Core curriculum. This description may seem a bit pedantic, but trust me, it is so much fun. As an intern, you dig in the dirt to grow plants, learn about, build, and maintain aquaponics systems, teach sustainability and science to enthusiastic students and teachers, and work within a community of the some of the most inspiring, motivated, and kind individuals on this campus. 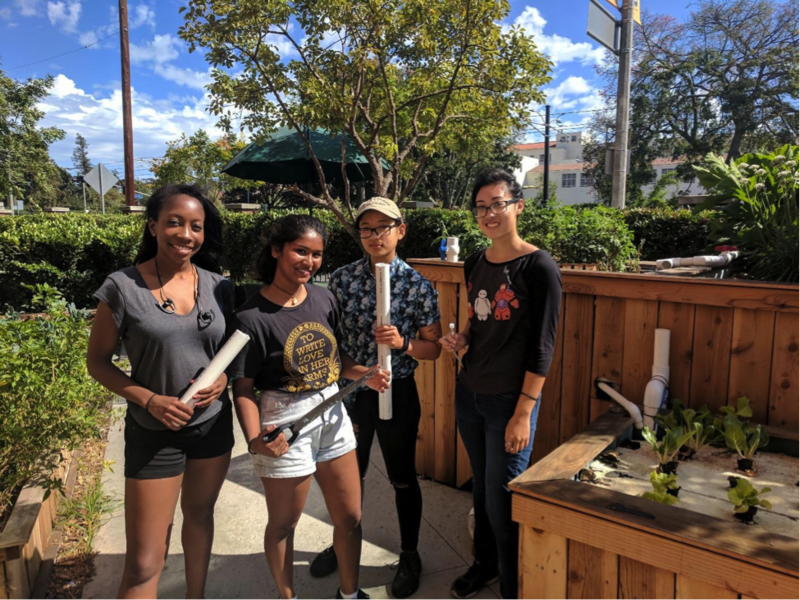 The hands-on projects we facilitate allow students (and adults) to visualize and understand knowledge in a tangible way, and gets students excited to learn about the importance of healthy food, food access, the environment, and science. 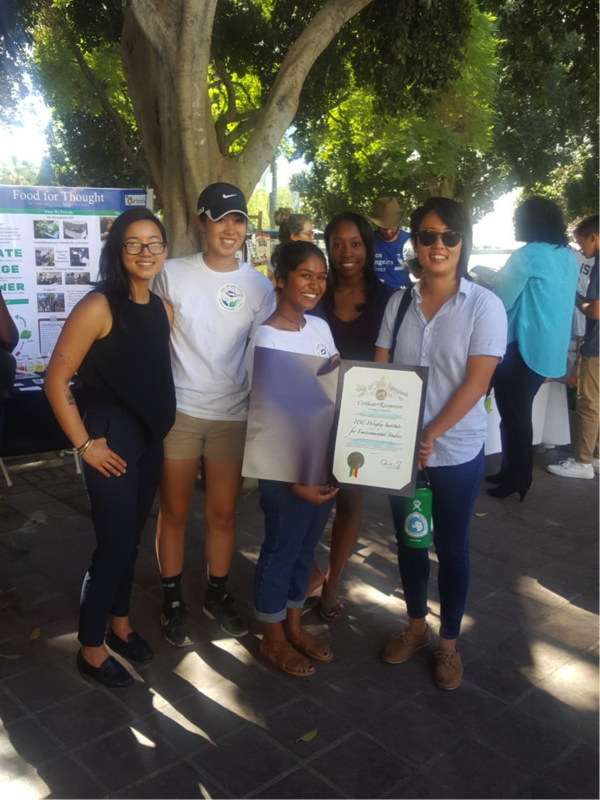 The highlight of our semester came when we applied and were accepted to showcase our work at LA Food Day, which was held to recognize “the City Council’s Good Food Champions & food policy wins of 2017. Food Day is a national event designed to raise awareness of food system issues, such as health, hunger, worker justice, animal welfare & the environment” and it showcased “our city’s most forward-thinking, visionary ideas on the #FutureOfFood” (LAFPC, 2017). At the end of a day full of tabling and presenting FFT to event goers, we were honored with the award of being one of the top 3 projects!! There were so many progressive and wonderful ideas, it was like a dream to stand up there with city council members and accept the award; I almost couldn’t believe it. However, FFT is such a unique and amazing program, with the ability to teach topics that are crucial for preparing future generations to be healthy, sustainable, and knowledgeable. Being recognized at LA City Hall during ‘Food Day LA’! Immense experiences like Food Day are truly incredible and exciting, but personally, the most treasured facets of this internship are seeing the kids light-up with curiosity and excitement when they are about to do water testing, watching the seeds you planted—sprout, and working/laughing/eating snacks in the office with people I could now call my extended family. I just talked a lot about various different things in this post, but if you like science, food, friends, and adventure, it is probably better if you just come and experience it for yourself! This entry was posted in Undergraduate, Wrigley Institute on November 13, 2017 by Jessica Dutton.